On March 10, 2019, the British publishing house IOP Publishing released the 1181st volume of Journal of Physics: Conference Series, which includes 90 selected articles by participants of the 26th Extended European Cosmic Ray Symposium, including 4 articles prepared by ASU scientists. Journal of Physics: Conference Series is an open access journal and is indexed in such international bibliometric systems as Scopus (included in the 3rd quartile in “Physics and Astronomy”), Inspec, INSPIRE-HEP, ISI Proceedings, NASA Astrophysics Data System, International Nuclear Information System. 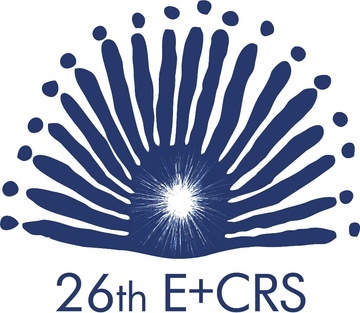 It is to be recalled that the 26th Extended European Cosmic Ray Symposium and the 35th 35th Russian Cosmic Ray Conference were held at Altai State University on July 6–10, 2018. The joint conference was held for the first time outside of Europe, which contributed to the geography of participants by including young scientists, graduate students and undergraduates representing universities and research centers of Siberia and the Far East, as well as the largest experiments in Russia (Yakutsk complex EAS and gamma-astronomical complex TAIGA). In addition, the conference was organized in a modernized format (modeled on the COSPAR International Assembly) to ensure the participation of key scientific organizations and key global specialists with guest and review reports, an exhaustive presentation of original and forward-looking research programs in terms of the results of the symposium. The scientific program of the conference included a plenary session, 12 sections and 2 workshops. 227 reports were submitted, including 10 plenary, 99 oral and 118 poster ones. The conference was attended by 155 researchers, including 57 representatives of 19 foreign countries (Belgium, China, Czech Republic, Denmark, Finland, France, Germany, India, Italy, Japan, Kazakhstan, the Netherlands, Norway, Poland, Portugal, South Africa, Spain, Switzerland, the USA). The latest results obtained by major global high-energy astrophysics collaborations were presented: Auger, Telescope Array, IceCube, Yakutsk EAS array, Kascade-Grande, ARGO YBJ, Tibet Air Shower Array, Baksan Underground Telescope, LVD, Grapes-3, Nevod, Gamma-400, Pamela, Fermi Lat, AMS-02, Calet, Dampe, TUS, Nucleon, JEM-EUSO, HAWC, Taiga, LOFAR. An open lecture by the professor at Stanford University (USA) Igor Moskalenko was held at the conference. 35 students, graduate students and young scientists of Altai Krai took part in the plenary sessions and sections, as well as open lectures.